Contemporary 5x8 Rug - 5'4" x 7'5"
Contemporary 5x8 Rug Black - 5'4" x 7'5"
Black Contemporary 5x8 Rug - 5'4" x 7'5"
Abstract Black Contemporary 5x8 Rug - 5'4" x 7'5"
Black Red Contemporary 5x8 Rug - 5'4" x 7'5"
This contemporary rug is easy to clean. This breathtaking faux wool area rug has a 0.25 inch pile high thickness and a cotton backing. This alluring piece will make the perfect new addition to your living room, bedroom, or any room. •	Easy to clean •	Water repellent •	No fading •	No shedding •	Anti-static •	100% polypropylene •	Colorfast •	Soil repellent •	Pin pointed •	Technique: Power Loom •	Construction: Machine Made •	Location: Indoor use only •	Gender: Neutral •	Rug pad recommended: No •	Product care: Vacuum and spot clean regularly •	Backing: Jute •	13mm (0.25 inch) pile high thickness •	Made in Turkey •	Different sizes: 7'10" x 10'6" 5'4" x 7'5" 2'8" x 7'5" 2' x 3' Questions, call our rug expert at 310-601-0021. 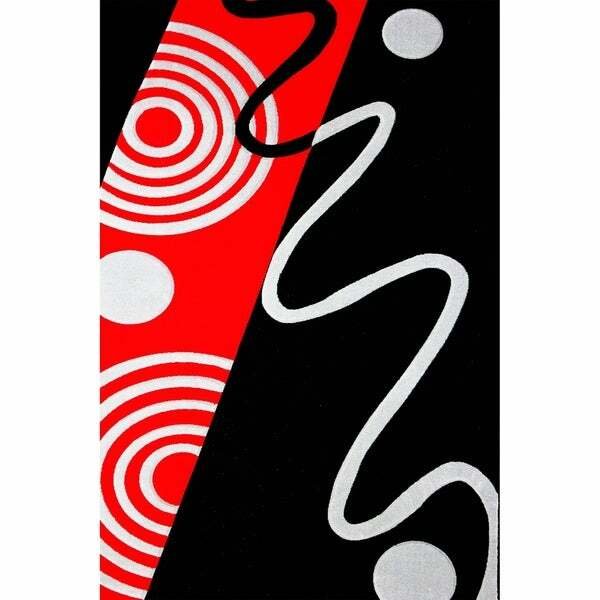 Contemporary 5x8 Rug Black Red - 5'4" x 7'5"
Contemporary 5x8 Rug Red - 5'4" x 7'5"
Red Contemporary 5x8 Rug - 5'4" x 7'5"
Gray Contemporary 5x8 Rug - 5'4" x 7'5"